For some, the steady growth of eSports is no surprise. For others, they’re just starting to hear about it. With phrases like: “is eSports the future?”; “eSports industry is booming”, it’s worth looking at why there’s so much hype surrounding it. Put simply, eSports is competitive or professional gaming. Players battle it out to go up the rankings and win prize money. And why is that big business? Here’s my A-E of eSports for you to make your own mind up. Although Cyberathlete Professional League and Electsports League started in 1997, the growth of eSports has really come from the popularity of new platforms. They’ve made eSports more accessible and interactive. With Twitch, for instance fans can leave real-time comments and ask questions. Audiences are on an upward trajectory. In fact, research firm Newzoo are predicting global audiences (viewers and enthusiasts) will reach 385 million in 2017. In anticipation of rising numbers purpose-built arenas are being opened. eSports is attracting major brands. Be it broadcasters like Canal+ or ESPN providing mainstream coverage or products wanted to be featured, household brands are jumping on the eSports bandwagon. Nielson reported that there’s been more than 600 sponsorship agreements since 2016. Plus traditional sports teams are buying eSports teams! Hard to imagine but, there’s serious prize money in eSports. On par with the traditional sporting world. Take International 6 in August 2016, the grand prize was USD9.1 million. The 5 members of Wings Gaming took home USD1.87 million each! In the same year, the winner of the Masters – Danny Willett – also took home USD1.8 million in prize money! Now here’s why the brands are really buzzed. Advertising dollars! eSports fans are overwhelmingly young and online who typically don’t watch traditional TV or respond to conventional advertising. Yet, now with eSports, advertisers have a direct line to those unreachables. According to Nielson, 7 out of 10 eSports fans are male. What’s more 61% live in households of 3+ people and are involved in making purchase decisions. Jackpot! 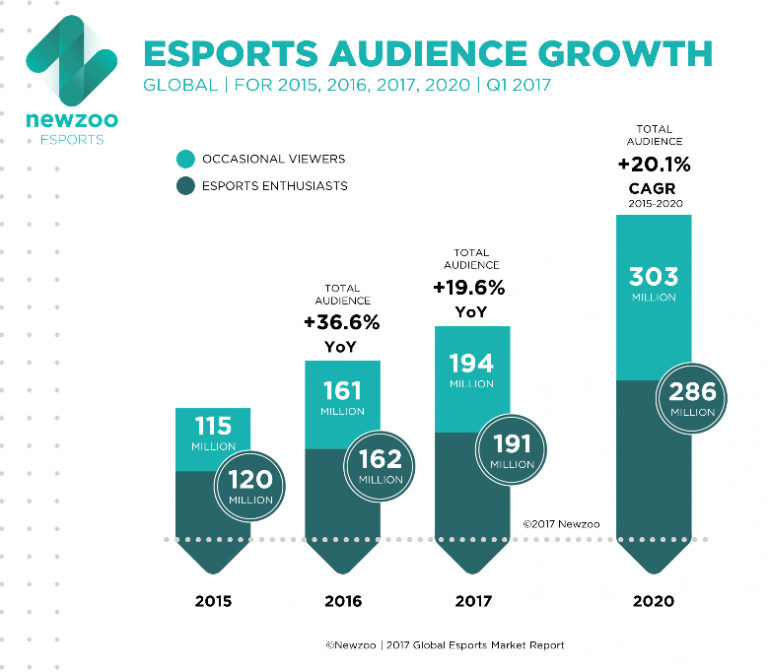 Juniper Research predicts that consumption of eSports and streamed games will drive USD3.5 billion in revenue by 2021; with subscription models and advertising contributing to that. However, they also expect more content to be monetized: sale of merchandize, time limited content, as well as the sale of rights, etc. For a nascent industry that’s pretty good going. No wonder there are moves by some organizations, such as MTG , MSG , etc. to acquire a stake in eSports companies. But why the interest from Irdeto? The Irdeto Cybersecurity Services team continually monitor the digital landscape to understand and identify where new or emerging threats might be prevalent. With the eSports market expected to explode in coming years, this is an area we’re watching closely when it comes to piracy activities. 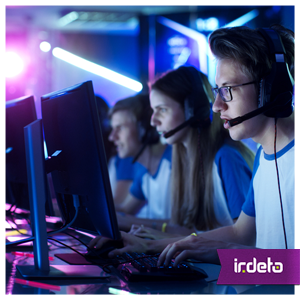 This entry was posted in Media & Entertainment and tagged cyber security, cybersecurity, e-sports, eSports, Irdeto, online piracy. Bookmark the permalink.